Built to match the way you live with the HP Smart app, Tango helps you stay a step ahead by connecting and printing from any device, anywhere. Dynamic security enabled printer. Intended to be used with cartridges only HP original electronic circuitry. Cartridges with modified or non-HP electronic circuitry may not work in the future. 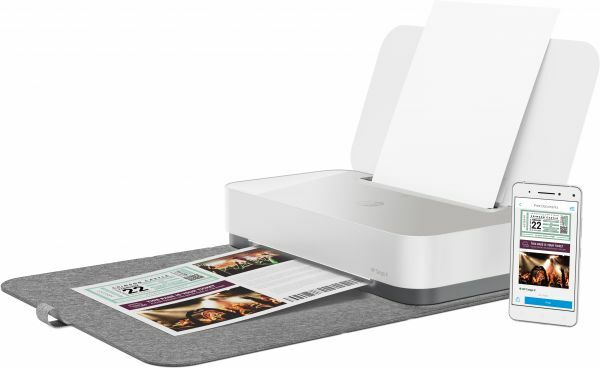 Get connected and start printing fast with seamless Wi-Fi® setup from your smartphone. Easily print from a variety of smartphones, tablets, and laptops. Easily print everyday documents from your smartphone. Get high-quality scanning, and share the email - from virtually anywhere. Make a copy of your smartphone with HP Smart app and send it to your printer from virtually anywhere. Get notifications when printing, scanning, or copying from your smartphone. HP 303 ink cartridges deliver authentic colors so all your prints will shine.